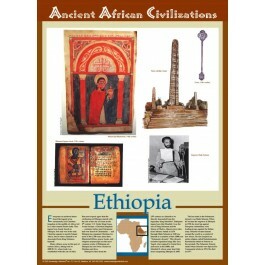 This unique educational poster features several illustrations depicting artwork, a stone obelisk, and a picture of Haile Selassie, along with a clearly explained description of the ancient civilization of Ethiopia, and a small map showing its location in Africa. 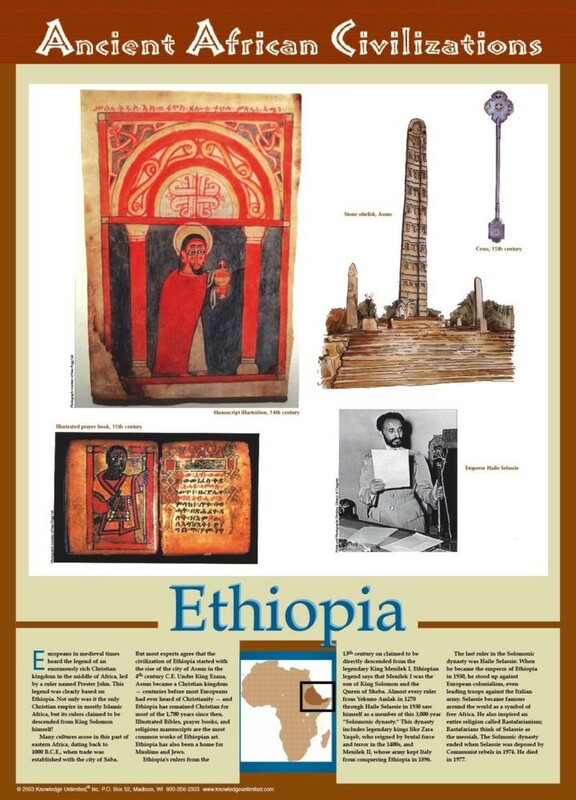 The ancient civilization of Ethiopia traces its roots back to Biblical times. It became a Christian kingdom in the 4th century -- centuries before most Europeans had ever heard of Christianity. This poster is a great way to introduce students to this remarkable and unusual ancient African civilization.